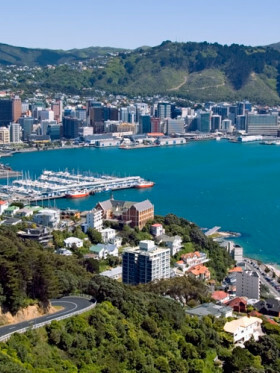 "Review of my Spaceships-Rentals-New-Zealand hire"
Very good car, great service, no surprises. I recommend! 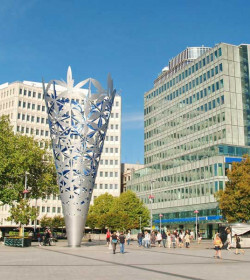 Spaceships Rentals New Zealand is a company who operates simultaneously in Auckland and Christchurch. Australian in origin, they have expanded their reach to the large market of camper hire in New Zealand. Spaceships Rentals New Zealand is a medium sized company, in business for over a decade, with two depots in NZ―Auckland and Christchurch. 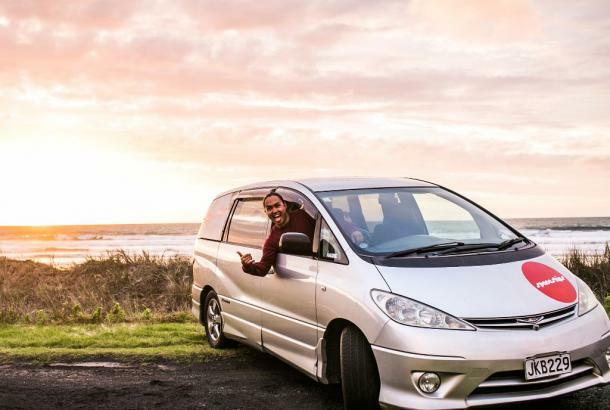 Australian in origin, they have expanded their reach to the burgeoning market of camper-car hire in New Zealand. The company offers 2-berth sleeper models in a variety of designs, and combine an environmentally responsible ethos with good rates for limited budgets. 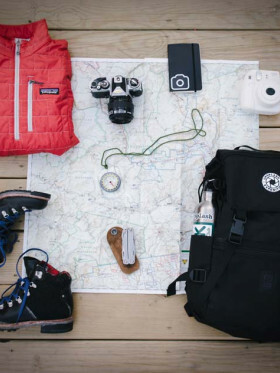 Endorsed by Qualmark and having won multiple Tourism Awards, Spaceships’ efforts outside of offering vehicles for hire are nevertheless notable. 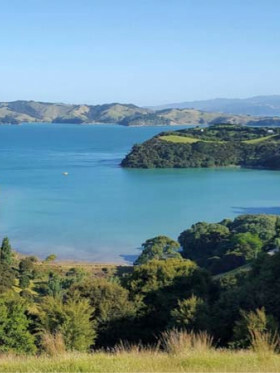 Influenced by their previous eco-tourist approach when operating out of Australia, they run a community project in Akaroa which has helped reintroduce multiple native plant species, with almost 50,000 having been planted to this date. The public walkway that links together Akaroa and the town of Takamatua is also part of their doing. Their work in conjunction with the Department of Conservation has helped popularise DOC’s camping facilities, and they sponsor trapping, tagging and releasing of endangered species each year. Larger competitors, like Apollo and Britz, don’t put in nearly as much work in this area; Spaceships’ smaller size allows them to maintain a clear focus on these issues. Included in the rental price for all vehicles are free PDF guidebooks and the professionally-developed Spaceships, Travel App. 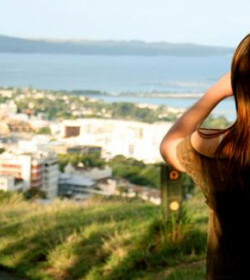 Access to the Space Mates network — a community spread across New Zealand who can help out with deals, places to stay and local information — is also provided, along with discounts on selected activities. 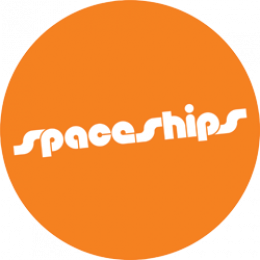 Spaceships’ modest selection of vehicles is not the largest among the fleets of their competition; however, they make up for this with much more affordable pricing than larger companies. Their most expensive model is the luxury Dream Sleeper, whereas the Rocket Budget is the most popular because of its very affordable rate. Each vehicle in the fleet has its own quirky ‘name’, usually in keeping with the Spaceships brand—Star Wars characters, superheroes, and scientific geniuses are included. With around 40 different vehicles, it can be something of a toss-up as to any particular hire’s age and kilometers clocked, some of them coming in at hefty hundreds of thousands. The majority, though, are in good condition. 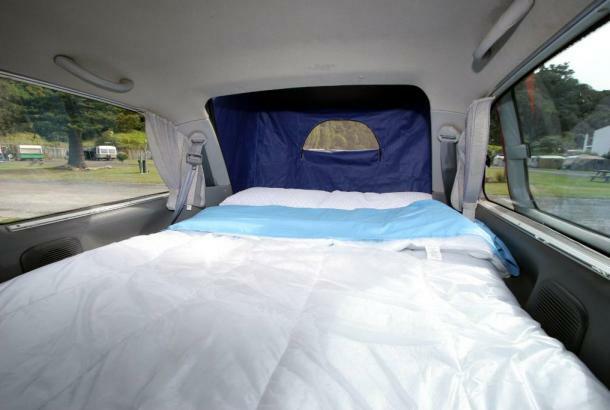 All vehicles have awnings for ‘summer sleeping’, allowing the bed to be extended out underneath a tent-like structure that bridges the gap between camping and sleeping in the back. One plus point is that the vehicles all belong to the smallest vehicle class for ferries, so getting between the north and south islands of New Zealand is much cheaper than it would be in a campervan — and you can stay in Department of Conservation campgrounds, which isn’t possible with a full-sized motorhome. The dual-battery system is unusual in a camper this size and charges itself as you drive, so connectivity and power are well accounted for. Four cheap-and-cheerful models— the Rocket, the Beta 2 and Beta 2S, and the Dream Sleeper Mini— all are available to suit customers’ needs. The budget models struggle to accommodate small children in need of booster seats, so keep that in mind; families will be best off in a pricier but roomier Dream Sleeper Mini. The Rocket can seat up to four and sleep two, so for those who want to camp, it’s a great budget option. This is the cheapest but not all bare and bones. As with all the vehicles in the Spaceships fleet, bedding, cookware, and crockery are included. Plus, you get 2x gas cooker, a chilly bin, and nice storage space. Given its suitability for parties who wish to camp, it’s worth shelling out a few extra dollars for Spaceships’ own rental tables and chairs—not to mention tents and sleeping bags, if you haven’t already brought them! The Beta 2 is larger than the Rocket yet highly similar to its design. Coming with a fridge-freezer, the Beta 2 the best option out of Spaceships’ array for those who need a balance between affordability and functionality. Distinctively, this unit comes with a backseat, giving travellers different seating options. Another 2 berth camper, the Beta 2S is a variation of the Beta. They are likely the same except that the 2S has 40% extra space, additional storage, and more discreet layout. 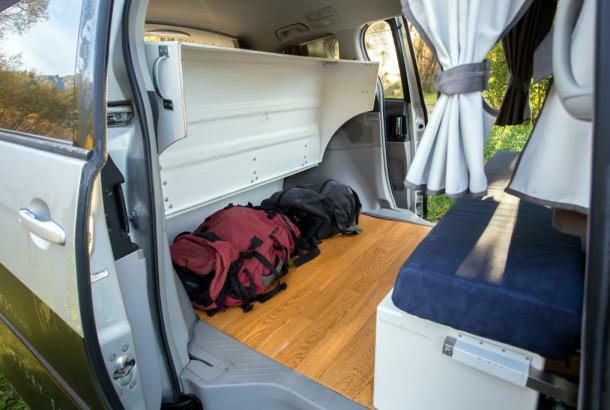 Because of these unique features, this camper does not come with a back seat. Still, it is tagged as the most fuel-efficient vehicle in the fleet. That is why trips that last longer than a couple of weeks are best served by the 2S. The Dream Sleeper Mini is the newest model in the fleet, with a slightly smaller bed that’s compensated for by a fully equipped rear kitchen loaded with a 2x gas cooker, fridge/freezer and running water facilities. 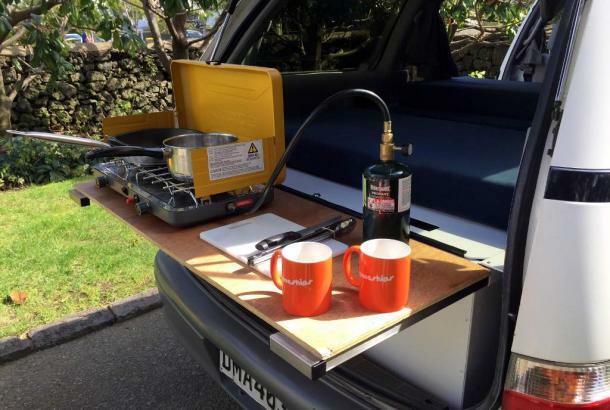 On top of this, the campervan comes with lesser fuel consumption and a bigger fridge. It also takes pride in its modern stereo with GPS included, as well as its side awning. For the Dream Sleeper Mini, Beta and Rocket models, the standard bond has an excess of $3000, included in the day rate. 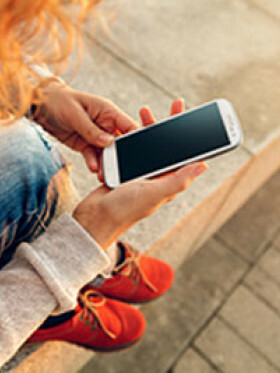 Partial excess reduction—only available to those over 21—halves your excess to $1500 (requiring you to pay $20 extra per day), whereas the all-inclusive option means $0 excess and added coverage ($30 extra per day). Excess is deducted in full immediately upon report of an incident or accident. The all-inclusive option, although more expensive, covers to a maximum payable 40 days’ rental damage to the roof and undercarriage, as well as unlimited windscreen chips and one full replacement. 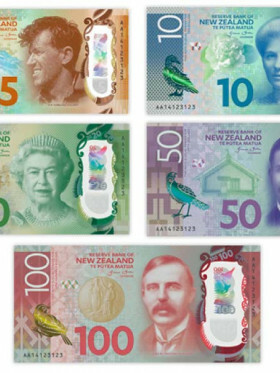 The latter two will also be covered on glass cover for the standard bond, for an additional $8 per day. 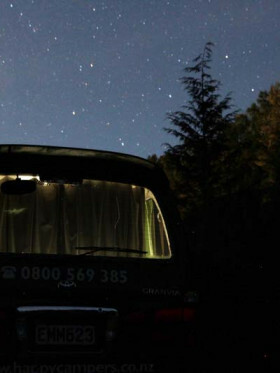 The majority of travellers report that Spaceships vehicles are well-maintained and easy to drive, offering a freedom that’s not possible with a full-blown campervan, as well as much better fuel consumption. The facilities provided—which, depending on the model, can range from Wi-Fi, through side awnings to glassware and crockery—are said to be a good catch for the price. Customers have also commented on the spaciousness of the 2-berth models, which are reportedly perfect for 2 people to sleep inside—though not always the case! The professionalism of the staff themselves has also been noted, with minor hiccups such as flight delays handled swiftly and smoothly, and extras such as a second water tank provided upon request for small fees. A few complaints have nevertheless been raised: mostly, these are that customer service isn’t great on busier days, which is to an extent understandable. Some models can be cramped if you’re tall or have a lot of camping gear with you, and on occasion appear to be thoroughly well-used and show their age. One small recurring problem appeared to be poor-quality canvas back covers. Overall, Spaceships is trying very hard to give the market something unique and they are succeeding. They are a recommended company not only because of their affordable, unique, and classy campers but because of the efforts they put in to be so much more than just a campervan hire company. Great car overall! Very convenient having everything in to the tiniest detail. Great mechanical shape. Very good service from the guys at the depot. I definitely recommend. Loved our experience with Spaceship. Car got us where we needed to be and had some really nice touches that fully maximised the (extremely limited) space available. I've been in vans three times as big that felt much more cramped. Great way to see the country at a good price. In New Zealand our rental experience with Spaceships was good. The staff was very friendly, helpfull and with patience. The campervan was new and everything worked. Even when we (very slowly) had hit a (small tree). The bump was directly taken care of by a mechanic when we arrived to return the car. This made us feel like we could trust the way It was handled and the price we had to pay to fix It. Good experience with New Zealand. 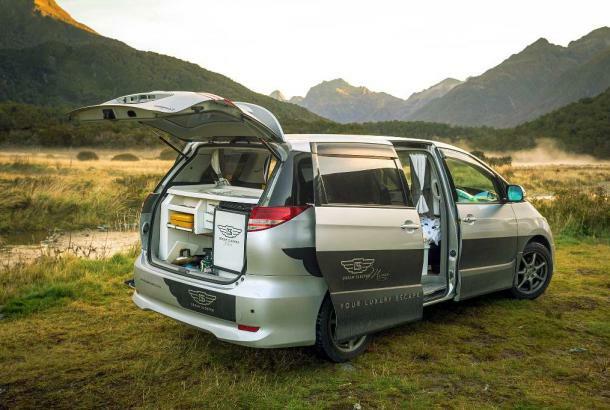 "Review of my spaceships-rentals hire"
Wellington New Zealand Campervan Hire – Amazing Freedom!